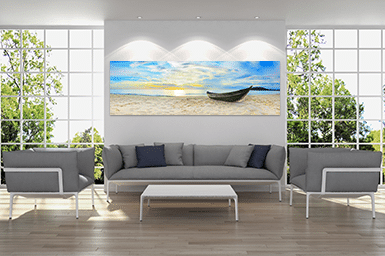 Whether it be above a couch, behind a bed or a statement piece lining a hallway, there is probably nothing more stunning as wall art than a large panoramic acrylic print. Our face mounted acrylic prints for the wall are the most popular product we have by far and the reason for that is it’s incredibly vibrancy. What makes a panoramic acrylic print art elicit a conversation from friends a family? The biggest reason is the way it enhances and illuminates your photo in the right light. With acrylic, light refracts within the acrylic and bounces back out at you rather than simply passing through as it does with glass. 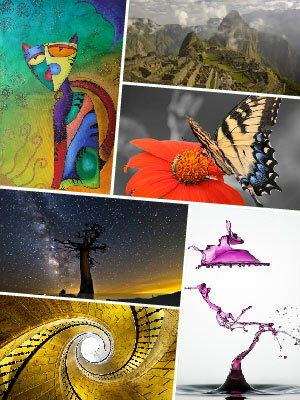 Pair that with a vibrant photo printed to metallic paper and you get art that is dramatic, modern and beautiful. 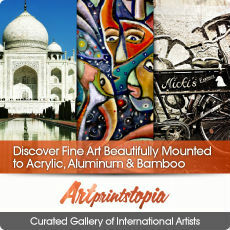 The larger the acrylic print, the more of an impact it can make in your room. That’s why a long panoramic is a popular size. We do a lot of panos in the 50-70″ width range and if the resolution allows, we can get all the way up to 96″ with a single acrylic panel. If you’re open to doing a diptych (two separate acrylic panels) or a triptych (three separate panels) we can go as large as you want but the limitation is always in the resolution of your image file. 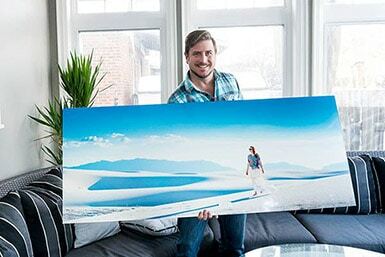 You may be asking .. how the heck do I know how large I can print my panoramic photo? That’s a great question! It’s impossible for us to know without viewing the file at print size in Photoshop which you can do yourself or we can do it for you. If you have Photoshop just be sure to view this detailed article on how to configure your Photoshop to make sure viewing at print size is actually print size. If you don’t have Photoshop and are interested in having us create some awesome art for you, we’re happy to provide a free consultation to discuss your max print size, how we can clean up the photo, paper type, acrylic specs, etc. ** Please note these are very general guidelines and max pano size depends on the quality of the camera, how it was shot, lighting conditions, how it was edited, etc. While most of our customers use their own photos to bring their memories to life, you might be looking for more of an artistic piece with a certain theme or color. If that’s the case you can search our gallery of millions of images to find the perfect photo for your room and all the images are high resolution. We’re happy to help you locate the perfect image as well. Give us a shout! Out Of Wall Space? Need Something Awesome For A Desk Or Shelf? Check Our Panoramic Acrylic Photo Blocks! To the left here you can see a quick video we shot when we first started offering these nearly 7 years ago (so the info is a little old in terms of sizes – quite a few more offered now). It almost doesn’t seem real but that is an unedited video using an old iPhone so no HD quality 🙂 They’re more vibrant in person we promise! We’ll get a new video done soon. You can’t get these panoramic acrylic blocks anywhere else and we just added another smaller size (a 12×4″ mini size). Our customers love these for their iPhone panoramic shots but any panoramic photo can be transformed into a 3D masterpiece. These 1″ thick acrylic blocks are beautifully diamond polished to perfection and make for an amazing gift. You can choose between the new 12×4″, the 16×4″ or the largest 20×6″ size. Get more details and a link to order here.